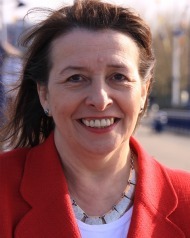 Teresa Pearce MP has today welcomed the news that Bexleyheath Police Station is no longer being considered for closure. Following a substantial consultation with Londoners, today MOPAC have published the joint MOPAC/MPS Public Access Strategy. This can be found here. “I am delighted that Bexleyheath Police Station has been saved. “Closing the station and moving the front counter to Sidcup would have directly impacted upon my constituents and I opposed the proposals in the strongest terms to the London Mayor Sadiq Khan. “As with any change on this scale, our community has voiced genuine and passionate concerns. Through the consultation process, the police have listened to those concerns and where possible and operationally viable, revised their plans accordingly. We are grateful to everyone who took the time to have their say and help guide making these difficult decisions. This entry was posted in Consultation, Local events, News, Press Notices, Update and tagged Bexley Police, bexleyheath police station, Mayor of London, Met Police, MOPAC, police, Sadiq Khan, Teresa Pearce, Teresa Pearce MP. Bookmark the permalink.